Even though the FCC removed the daily requirement that stations log and verify their frequency, they have never removed the requirement that stations will be held continuously responsible for staying in compliance with FCC Rules regarding frequency tolerance (Sec. 73.1540). For many years broadcasters have come to rely on outside frequency measurements services to assist them in maintaining compliance with the Rules. Over the years our clients have felt that it’s given them greater assurance that they’re in compliance when using a reliable outside frequency measurement service on a regular schedule. However, things can happen, and regularly documented monthly measurements can go a long way towards showing good engineering practices and intent should an out of tolerance situation arise. Using an outside service also saves them from having to spend their time and manpower to make the measurements as well as maintaining and calibrating the equipment and standards necessary to meet today’s requirements. Although most analog NTSC signals have disappeared, there still are some out there and in some cases DTV signals are held to a tolerance of ± 3 Hz. Calibration of frequency measuring equipment can be time consuming. By the time you go through the ongoing processes of calibration and maintenance, you will have discovered you do not own a frequency standard, it owns you. Like parenting, it’s a time-consuming process that never ends. The primary frequency standard maintained by the National Institute of Standards and Technology (NIST) is the standard for radio frequency measurements. 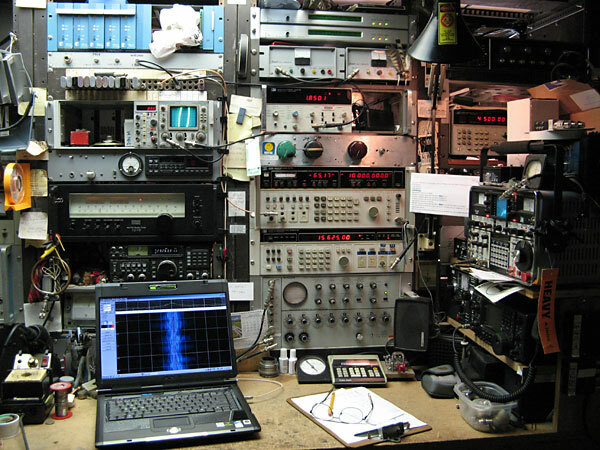 The standard signal is transmitted by stations WWV, WWVH, and WWVB (WWVB at 60 kHz results in a higher accuracy signal due to propagation characteristics at 60 kHz). This works sufficiently for AM, FM, and VHF-TV carrier frequency measurements. However, depending on where you are in the country, Doppler shift and other propagation anomalies can cause calibration errors by 2 or 3 parts per million. By the time you transfer this to a FM signal, you can easily have an error of several hundred Hz. At UHF-TV frequencies, the error can become totally unacceptable and certainly unusable for certain DTV signals. Some stations now rely on GPS as a frequency reference. GPS can be an excellent frequency reference, but a word of caution is in order: Even though a GPS receiver may indicate that it’s receiving satellites, its reference output may not be properly locked. This is a common problem, particularly at broadcast transmitter sites. With tight frequency tolerances, particularly in the case of some DTV signals, a GPS reference is a must. With the advent of GPS Frequency and Time Standards, the calibration procedures has become easier, but as pointed out above, it’s not without some pitfalls. Our measuring equipment is all GPS referenced, using two completely independent GPS systems monitored by a phase comparator connected between the two—it alarms if they disagree.